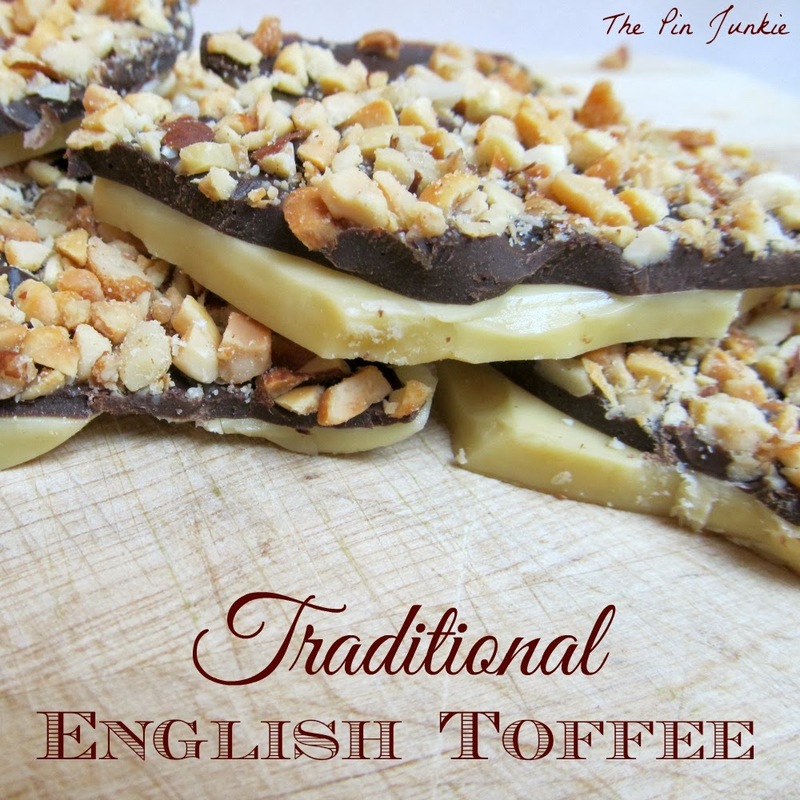 Have you ever made your own candy? It can be somewhat intimidating especially if you've never done it before, but his recipe is so easy you don't even need a candy thermometer! This recipe is from Stacy at Not Just A Housewife. Stacy says this is her mom's recipe that she's been using for 40 years and it's the best caramel she's ever tasted. She's not kidding! These caramels are so yummy and no one in our house could stop eating them. They're good by themselves, but I really liked eating them with apples. The recipe is easy. Just mix the ingredients and stir on the stove over medium heat. Then pour the candy onto a buttered cookie sheet. Even though I buttered the cookie sheet, I still had some trouble getting the sticky caramel off the sheet after it had cooled. I think it's because my cookie sheets are old and the non-stick surface is scuffed up. I'm thinking next time I might line the pan with foil or waxed paper before pouring the candy to make it easier to remove. Or maybe just buy new cookie sheets! Anyway, once the candy is cooled, cut into half-inch pieces and wrap in pieces of wax paper. Other than having some trouble getting the candy off the cookie sheet, the candy was a delicious success! It makes A LOT so plan on sharing or giving as gifts. The recipe can be found at Not Just A Housewife. 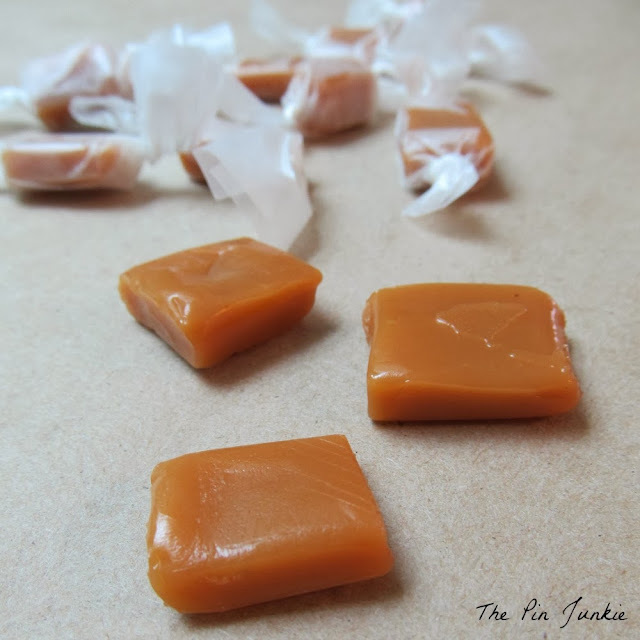 Inspired by this pin for homemade caramels. This looks delicious! I love caramel. I haven't made my own, yet. I say yet, because I'm sure I'm going to give it a try after seeing this. Thanks for sharing this. It looks SO good!! Thanks for sharing the link- I went and pinned! You are so right! Making your own candy does sound intimidating. I watched Barefoot Contessa on Food Network make it once and you are right, she used a thermometer. You always share such cool ideas! Thanks so much for sharing this one at Countdown in Style as well! 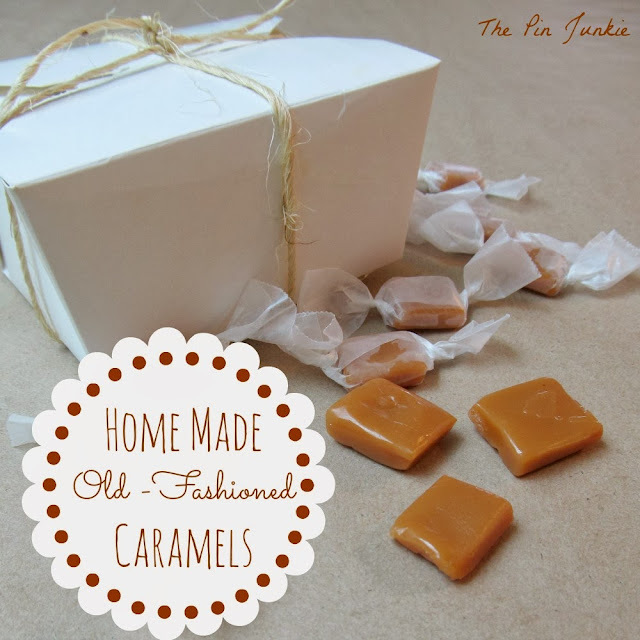 I've never attempted to make homemade caramel but it doesn't actually sound that hard! Guess I'll be trying something new! Popping over from Krafty Inspiration. This was my first time making it too, and I was surprised at how easy it was! I have never done these. Thanks for the link. I found this post through Family Fridays. Thanks for stopping by Kelley! My mouth is watering. I need to make these 4 Christmas! Those look so yummy and relatively easy. I may have to actually try making some this year! Thanks for the feature Lori! I appreciate it! Ooh these look so yummy! Pinning to try these over Christmas break, love caramels! Mhhhhh. Looks so good! I need to make some for certain. Caramels are one of my favorite Christmas candies. YUM! Me and my girls will be making candy on Fri. Going to compare this recipe with mine. Thanks so much for sharing with Sugar and Spice Creating Christmas! These look really yummy! I pinned this post. Found you from Bloggers Brags Pinterest Party. Thanks for stopping my Daniela! Love Not Just a Housewife. She always has amazing projects. Thanks for linking up to Gingerly Made's Show & Tell. Caramels are my weakness. I recommend new cookie sheets:) and parchment paper. Have a great holiday. I think you're right about the cookie sheets. Maybe I can get some new ones while I'm Christmas shopping. You make it look really simple.. we love carmel. thanks for bringing this by foodie friday. I make my own caramels every Christmas and I pour them into a buttered glass cake pan or corningware-style dish, both of which work beautifully. So buy new cookie sheets if you need to but not on account of caramels. Congratulations! You've been featured on Wicked Awesome Wednesday! 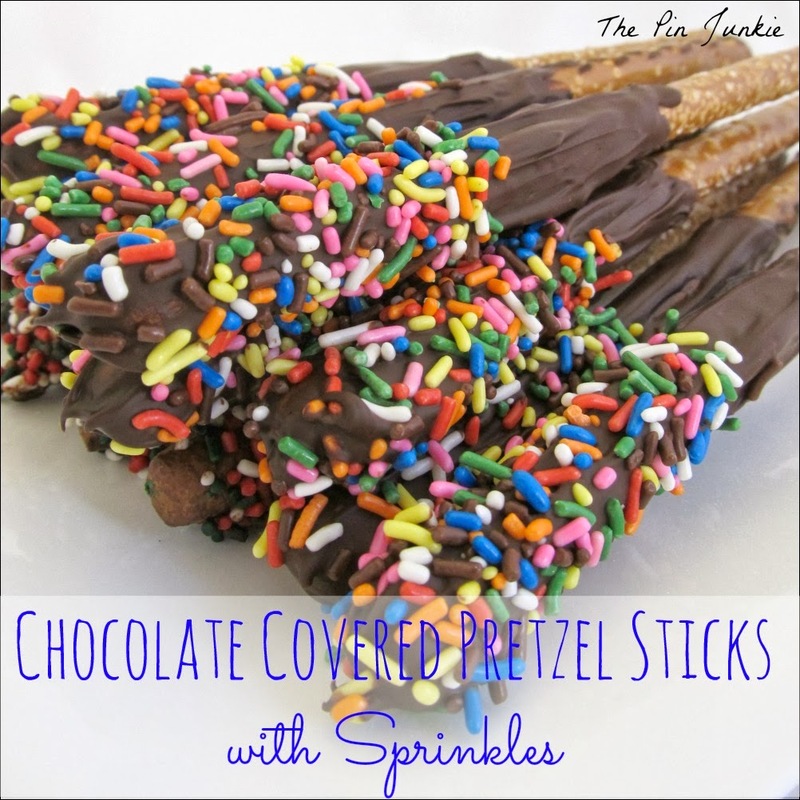 These look too good not to try! Stop by the website to pick up your "I've Been Featured!" button! So delicious! I will be making candy for belated holiday gifts. LOL! 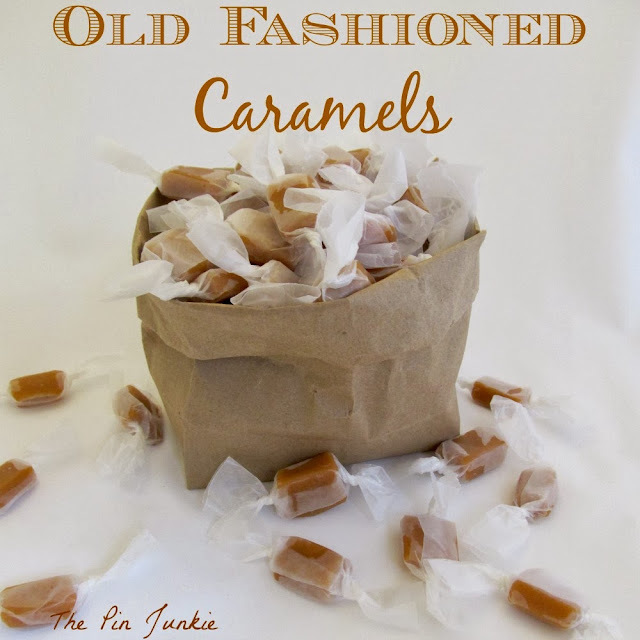 I love Old Fashion Caramels! yummy! Thanks for sharing them with us at Tasty Tuesday! We will be featuring these this week on Tasty Tuesday at Craft Dictator (http://www.craftdictator.com)! Thanks for sharing! Thanks for the feature Cara! I appreciate it!